A friend of ours went on holiday last week for a fortnight and dropped off a carrier bag with a few fresh bits in that they hadn't managed to use up before going away. It contained a butternut squash - how lovely! I used half of it in a chicken & butternut squash red Thai curry at the weekend, and decided to use up the other half tonight in a veg-tastic stew. Add the tin of chopped tomatoes, stock and paprika and simmer for 5 mins. 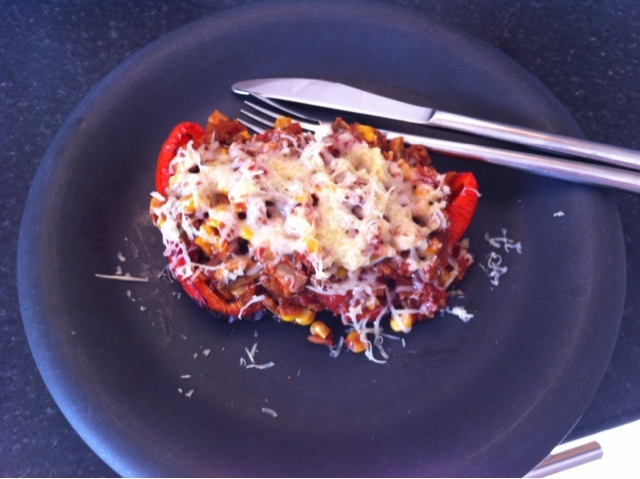 I served it with Cauliflower 'Rice' which gave me a mountainous plateful of yum for only 200 calories. 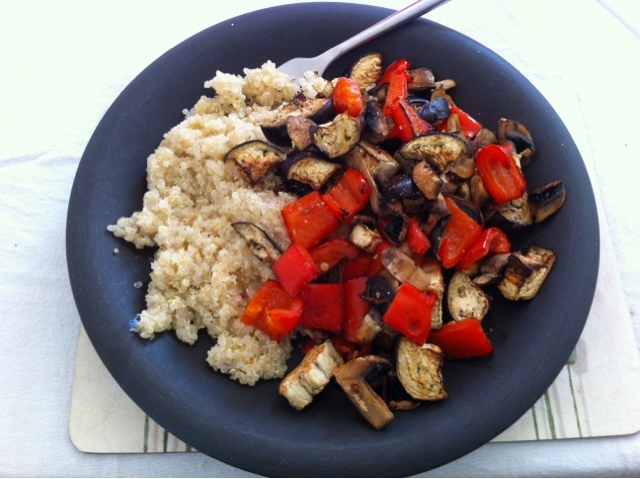 A perfect fast day meal! Spray oil into a big saucepan and add the onions, chopped up into a mix of fine dice and decent sized chunks, gently fry off until translucent, but not coloured. 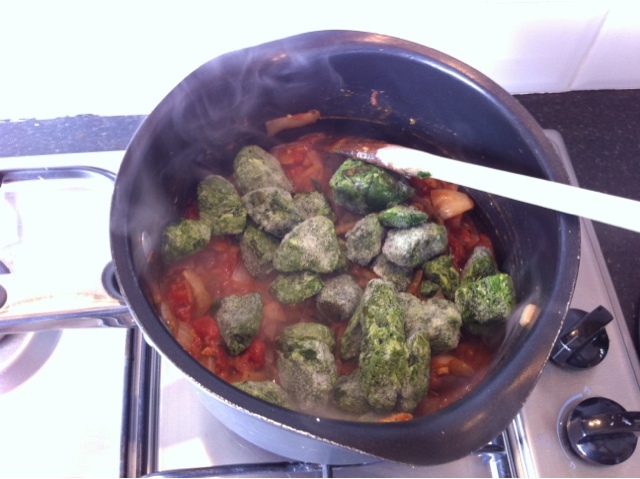 Once the spinach has all defrosted through and is mixed through into the sauce, add in the chickpeas and mushrooms and bring back to the boil, and let it simmer for 5-10 mins. You may want to add some more water to the pan at this stage depending on how saucy you like your curries, also maybe a squidge of tomato paste. Taste, and season accordingly, you might want to add a bit more curry powder or chilli at this point, depending on your taste. 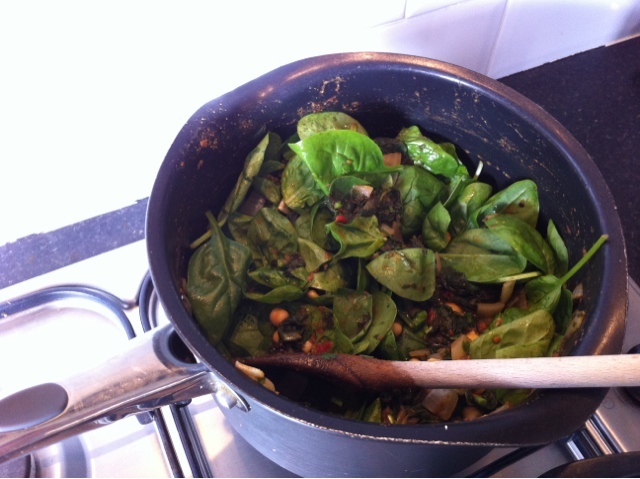 Just before serving, throw in your fresh spinach and most of your coriander (save a bit for garnishing) and stir it until the spinach is just wilting. Slap it all in a massive bowl and garnish with coriander, grab a spoon and dig in! This recipe is for three large portions if you eat it on its own, but if you serve it with some rice, naan, chapati or roti (probably on a non-fast day) then it should comfortably serve at least 5. I've been a bit naughty this week and I'm actually doing my two fast days back to back, as I'm doing Stuff that involves food every day for the rest of this week. It's my birthday tomorrow, which involves cake, sushi and cocktails. I'm on a work's away day on Thursday which will involve a nice lunch. And it's my & OH's 10th anniversary on Friday so we're off out for a meal and a few drinks. So I decided to do Monday and Tuesday this week. I thought it would be harder than it was actually, but today's been fine. I was *really* hungry first thing when I got to work at 7am, but decided to try and power through to 10am to have some muesli breakfast biscuits, then I'd try and get through to tea time. As it goes, I got really absorbed in the work I was doing and before I knew it it was 12.30 and I wasn't actually feeling hungry anymore. I was leaving at 2pm to pick the kids up from school so thought I'd hang on until then and have a cereal bar on the bus. Of course I forgot to pick up a cereal bar so found myself quite growly-tummied waiting in the playground for the kiddlies! I wanted something filling, so decided to go with quinoa, and it's pretty light on calories for the amount that ends up on your plate. 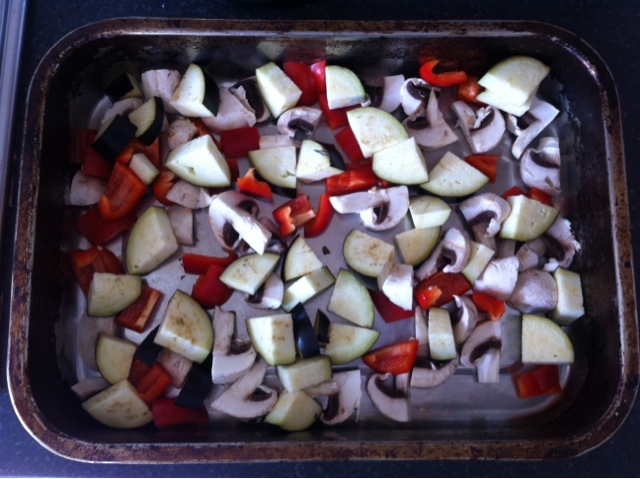 I'd picked up some veg on the way home too so decided to keep it simple and just roast them in a few sprays of oil. It was quite nice but a bit bland. To be honest It could have done with a good slug of garlic infused olive oil over the veg in the roasting tin, but hey ho, that's the trouble with trying to keep a whole plateful under 400 cals! Pop a large pan of water on to boil. Then chop all the veg into bite sized chunks and place in a roasting tin. Spray with the oil, then pop in the oven at 200C for 20 minutes. Meanwhile, rinse your quinoa in cold water in a sieve, then chuck it into the boiling water for 20 mins. Wen it's done, drain it in the sieve. 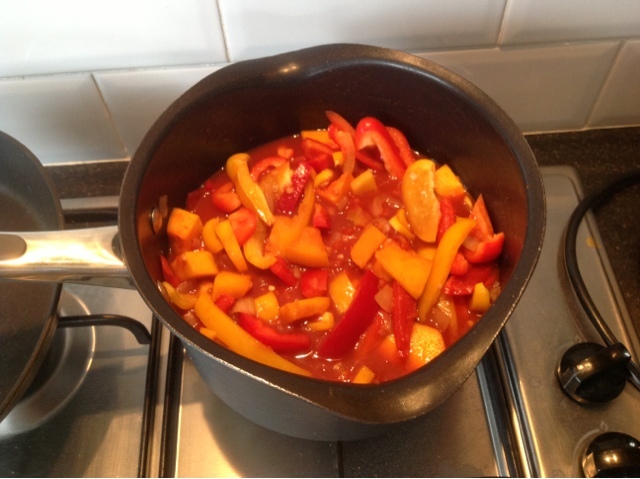 Another fast day comes around and, in spite of the sunshine today, I still fancied something hot and spicy for my tea. It's OH's grocery shopping day tomorrow so not a lot fresh in, other than some slightly sorry looking mushrooms in the fridge. 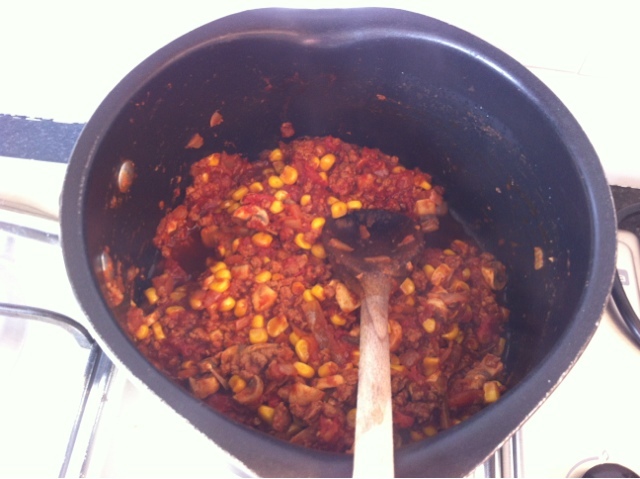 I went on a bit of a freezer raid, and found Quorn mince and a big bag of sweetcorn, so decided to make a chilli. I served my chilli on top of roasted red pepper halves and, as it's so low calorie, I could even afford some grated cheese on the top, and it was still only 265 calories for the whole plateful. 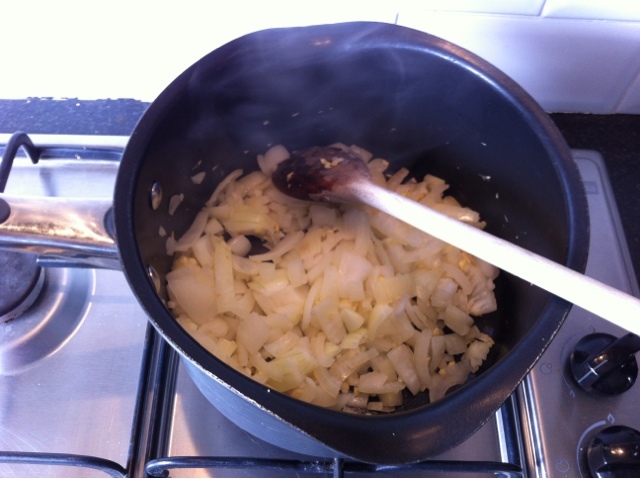 Spray a few sprays of oil into a large saucepan then add the onion and fry off. Add in the tin of chopped tomatoes, mushrooms and tomato purée and stir through, add a bit of water from the kettle if it's too dry and you'd like it a bit saucier. Next, stir in the paprika, chilli flakes and Tabasco sauce. Simmer for about 10 minutes then taste to assess seasoning - add more paprika, chilli, Tabasco, salt or pepper to taste, then simmer gently for about another 5 mins. This would be lovely on a non-fasting day on tortilla chips with nice big dollops of sour cream and guacamole. Guess what I'm having for tea tomorrow then!! I fancied something with a bit of heat and smokiness for my tea tonight so decided on a tomato & chickpea stew flavoured with chilli & paprika. When I checked the fridge, I also saw I had a courgette to use up to so figured I'd bung that in too. 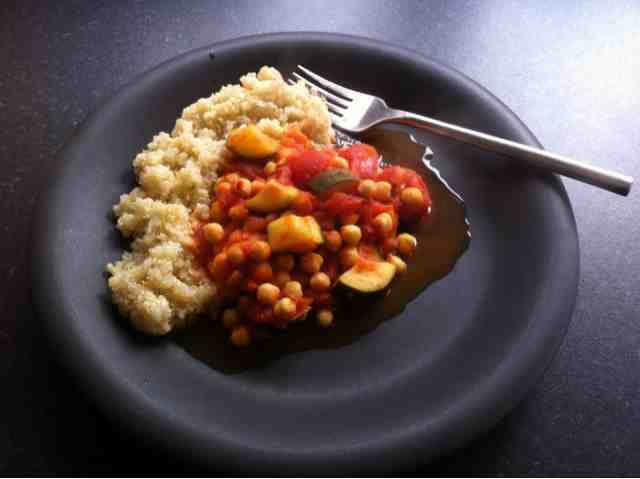 As it's so low calorie, I decided to serve it with a small portion of quinoa on the side. I really struggle to cook quinoa - it always just ends up a bit wet and soggy. I've tried the two-parts stock to one part quinoa, and Ive tried just cooking it in a big pan of water then draining, nothing seems to work! My friend Ally has also blogged about cooking quinoa too, we'll keep on practicing and let you know if we come up with a fool-proof method. If you have any top tips then please do share! I used 30g (dry weight) of quinoa, which is about 110 calories, so a sub-250 calorie meal, perfect for a fast day, and plenty of leftovers for tomorrow. I have some ideas for non-fast days too - see variations below. Spray a few sprays of oil into a large saucepan then add the onion, garlic and courgette and fry off. Add in the tin of chopped tomatoes, chickpeas and tomato purée and stir through, then stir in the paprika and chilli flakes. Simmer for about 10 minutes then taste and add more paprika, chilli, salt or pepper to taste, then simmer gently for about another 5 mins. I'm already planning ahead with how I'm going to use the leftovers for tea tomorrow on a non-fasting day. This would be delicious with some chorizo in, and as luck would have it, I bought some at the fabulous Kirkstall Deli Market this weekend just gone, I think I'll also add in some chunks of chicken breast too, and maybe serve it with a nice hunk or warm crusty bread. YUM! Even though yesterday wasn't a fast day, I'd kind of pigged out on the amazing Raspberry Mojito cake that my pal Ally made and bought into work, so I thought I'd try and make something under 250 cals for my tea, then I could have the leftovers today, which actually *is* my fast day! I was in the mood for something a bit spicy and fragrant last night, and as my lovely OH had done the grocery shopping on Tuesday, we had some yummy veg to use, so I decided to cook up a big pan of Thai green curry. I've made Thai green curries before and they're so easy peasy. I bought a fairly big pot of green curry paste a while ago from the ace Hang Sing Hong oriental supermarket in Leeds city centre, and we still had some left in the fridge. I couldn't actually remember how much to use so plumped for 100g, turns out that was probably a bit much as crikey it was HOT! Might drop it to 75g next time! Also, I discovered when logging the recipe in MyFitnessPal that there is such a think as LIGHT coconut milk, so will endeavour to find this lower-cal lower-fat alternative when I next go shopping to replace the can I used last night! Warm a large saucepan and add the curry paste. Next, add in all the veg except the edamame beans, and stir through to coat them and start to fry off in the paste. Tip in the tin of coconut milk and stir through. Then use a bit of boiling water to swill out the can (about half a tin) and add in to thin it down a touch. 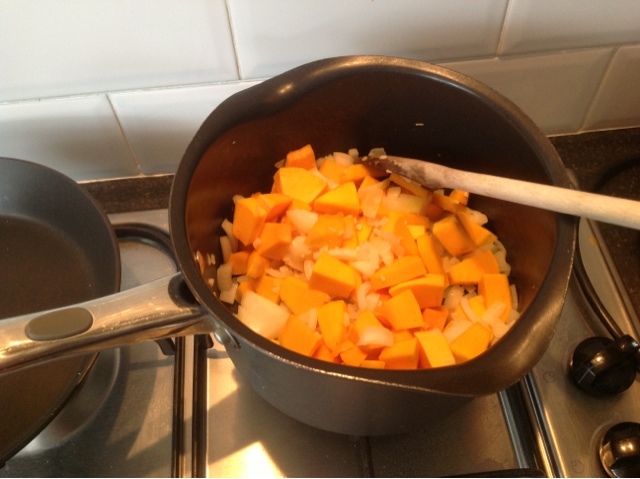 Let it simmer for about 15 mins or until the sweet potato is just cooked through. Add in the edamame beans and simmer for another 5 minutes or so until they are cooked, and then serve in a nice big bowl. For a meaty dish, you could add in some chunks of fresh chicken breast just before you add the coconut milk, obviously this will up the calories a bit, but if you use light coconut milk (and maybe a bit less curry paste!) 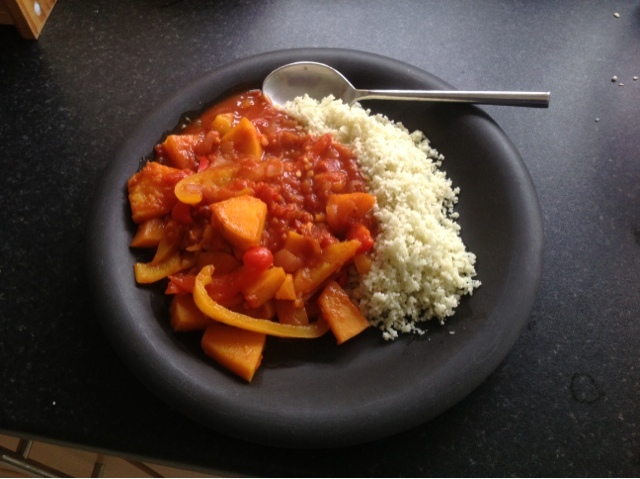 and reduce the amount of sweet potato a bit then you'd still have a filling meal for under 300 calories. YUMMY! Went for my monthly weigh-in this morning and have lost 2kg (4.5lbs) in my first month on the 5:2 diet. Hurray!